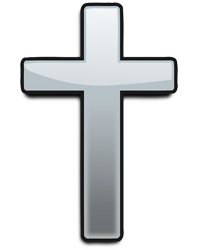 Sharon Y. Cahall, 67, of Smyrna, Delaware went home to be with her Lord and Savior on Palm Sunday, April 14, 2019 surrounded by many members of her family. Sharon was born in January 29, 1952 in Oakland, California and enjoyed living in various states as a child before making Delaware her earthly home. Sharon lived her life with two main drives- her family and her faith. She was a homemaker who prided herself on her big family and loved planning family dinners and BBQs. She spent her life devoted to her family and doing her part to keep everyone close. She was an avid and lifelong member of the Smyrna Wesleyan Church where she gave years of service playing the piano, leading a children’s choir, a bus ministry, planning the yearly clothing drive and leading the Children’s Church. Through these works, she touched so many lives throughout the years as she shared her faith. Sharon also loved spending her free time gardening, baking, canning, sewing, knitting, and decorating for each and every holiday. She was a diehard Phillies and Eagles fan and never wanted to miss watching a game. She is preceded in death by her parents, Ervin and Genevieve Yost whom she loved dearly and has been able to rejoin at home in Heaven. She is survived by her husband, James E. Cahall, Sr., with who she has weathered and endured many storms and triumphs as well as a daughter, Becky Payton and two sons, Jamie Cahall and Michael Cahall, both whom she loved dearly. She also leaves behind her grandchildren: Ashley (Josh) Politz, Andrew (Hillary) Cahall, Evan Cahall, Jenifer Payton, Jesica Payton, Lucas Cahall, Walter Payton and Weston Cahall and a great grandson, Ryan Cahall. She is also survived by four siblings: Brenda Thompson, Linda Buckson, Eddie Yost and Jo Yost. The family thanks everyone for their love and support and requests that in lieu of flowers, donations be made to the Smyrna Wesleyan Church in her memory. A viewing will be held on Saturday, April 20, 2019 at 10 am at the Smyrna Wesleyan Church, located at 433 W. Commerce Street in Smyrna. Funeral services will begin at 11 am. Burial will follow at Odd Fellows Cemetery in Smyrna.